The Los Angeles Philharmonic and Music Director Gustavo Dudamel kicked off the 2016/17 season on Tuesday evening with an opening night concert and gala titled “Gershwin and The Jazz Age.” With temperatures soaring into the 90’s throughout the week, a fall gala celebrating a winter season seemed slightly premature but the audience turned out dressed to impress and in good cheer. The evening served as perfect transition from the LA Phil’s Hollywood Bowl season, easing the regular crowd back into their seats inside Walt Disney Concert Hall while dazzling gala donors with a bit of glitz and fun. The program hit a number of musical sweet spots — a little easy listening, a little amplified Broadway belting, and a lot of very tight jazz-inspired orchestral works — highlighting the versatility of both the musicians and the hall’s acoustics. 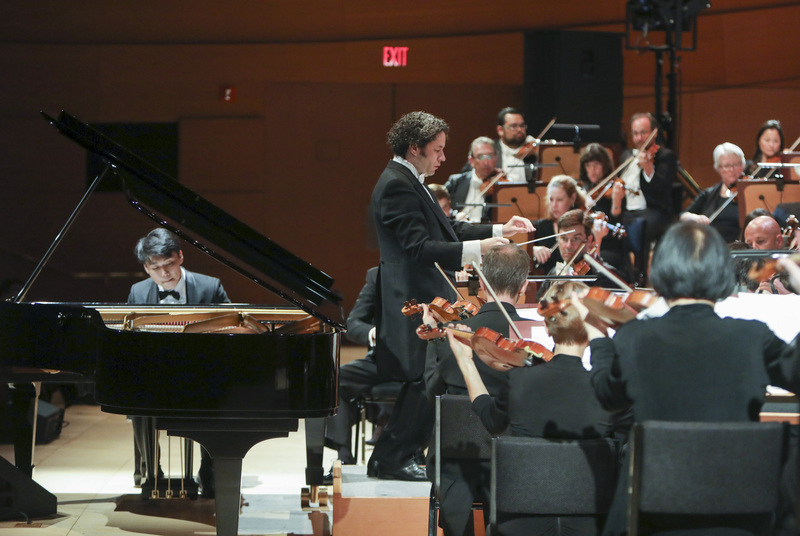 Dudamel and the orchestra began with Gershwin’s “I Got Rhythm” Variations featuring 20-year old pianist George Li. This turned out to be my favorite part of the evening. Li was brilliant, and the balance between piano and orchestra was perfect. Disney Hall has the acoustic ability to host a range of programming but I’m always caught off guard that the word “intimate” pops into my mind while listening to certain performances. At one point, I closed my eyes and felt almost as if I were relaxing in a smaller recital hall. We were further eased into the night with the second movement (“Stalking Monster”) of Duke Ellington’s Night Creature. The lights went down and Dudamel led the musicians perfectly back and forth between jazz and symphonic styles. The lights came back on and things got loud (perhaps a little too loud in context to the rest of the concert) when Megan Hilty and Brian Stokes Mitchell performed two sets of selections by Porter, Ellington, and Gershwin taken from has come to be known as The Great American Song Book. Stokes Mitchell stole the show and seduced the audience. He threw himself into dancing and over the top theatrics while singing “It Ain’t Necessarily So” from Gershwin’s Porgy and Bess, even throwing himself on the floor. Predictably it was Dudamel who played right into the schtick and helped him up to finish the song. It was definitely crowd pleaser. 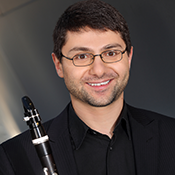 Sandwiched in between song sets, Bernstein’s Prelude, Fugue, and Riffs featured LA Phil principal clarinetist, Boris Allakhverdyan. Replacing the legendary Michelle Zukovsky upon her retirement last winter, Allakhverdyan has big shoes to fill; based on Tuesday’s performance, he is up to the task! 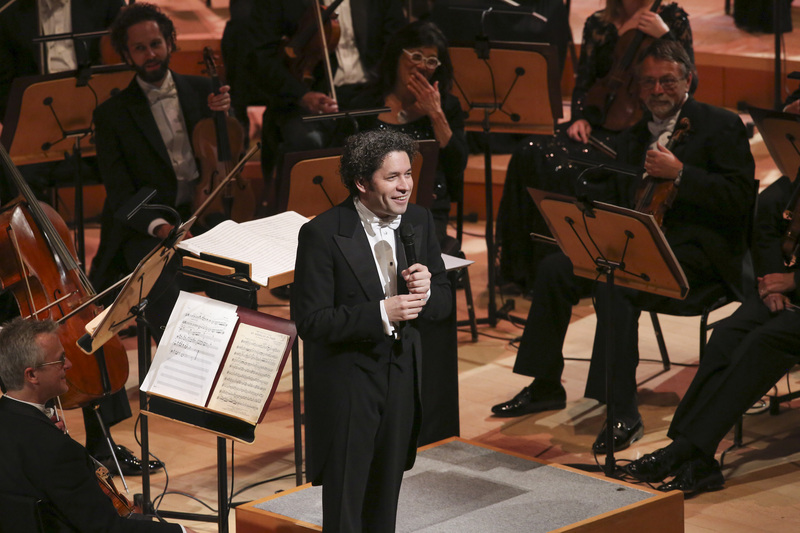 Maestro Dudamel spoke to the audience prior to closing the program with Gershwin’s An American in Paris. He told the audience that for this type of music he prefers to be in the audience, “sitting, drinking something, smoking something (cigars!)”. He added that while he travels the world and plays with many orchestra, LA is home and that this orchestra is his family. GERSHWIN: “Someone to Watch Over Me” from Oh, Kay! Tags: Bernstein, Boris Allakhverdyan, Brian Stokes Mitchell, Ellington, Gershwin, Great American Song Book, Gustavo Dudamel, Megan Hilty, Porter. Bookmark the permalink.